Often inventors need to raise some early investments to help pay for prototypes, patents or other items to help get the project off the ground. You have three goals: one, avoid trying to write a 40 to 50 page business plan, two, to show you are serious about taking your product to market, and finally, you need to show your idea has a real chance to succeed. Provide a short summary of why you came up with the idea, what made you use your particular product design, and why you think it will sell. Include a list of any industry related people you’ve worked with, such as sales representatives, retail store owners, distribution people, inventors who have succeeded in the market, or key end-users. Include pictures if at possible of the product in use and on the store shelves. Mention if your product is patented, or if you are in the process of applying for a patent. It is not necessary to get a patent , but it is helpful to have a patent as it valued by some investors. 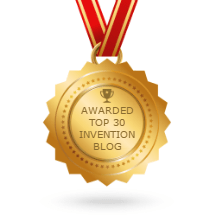 For those interested in getting a patent check out this page: http://onestopinventionshop.net/services/patents/. If you have applied for a patent or have had a patent search, be sure to list relevant patents for you investors. For information about a patent search see: http://onestopinventionshop.net/services/patent-search/. Analyze the products that are already on the market, what they cost and what their strong and weak points are. Include your product in the chart. Also try to get some of the more popular products either the actual product or brochure, printed web pages or ads for the competitive products. If you have done anything to sell your product, list those efforts here. If not, list any feedback you have from industry people or end users. If you are going with end-users, try to have them evaluate not only your product, but also the competitive products so that they can rate your product above others. If you plan on taking the product to market on your own you need a plan to show how you will start to sell the product until its sales expand into a large market. This plan doesn’t have to be long, usually you can show your plans in five to eight bullet points showing the steps you will take to market the product. Be sure to list in this plan any contacts or connections you might have made that will assist you. If you plan on licensing the product you should list at least three potential licensing targets. You need to show how you will meet the key contacts at those companies. This is usually done either by showing you have a personal connection into the company, perhaps you know a sales rep, or other employee, or a major customer of the targeted company, or by listing the trade shows you will attend to start the licensing process moving forward. The projected costs should be no more than 20% of the products final sales price. You can estimate the products sales price by comparing it to other products in the market, both with competitive products and with products very similar to yours in construction or manufacturing techniques. One effective tool is to have a focus group evaluate your product against others and then list them by order of value, from the highest price product to the lowest. You can use the product rated just above and just below you to estimate your price. You can get the manufacturing cost by getting quotes for several potential manufactures for 5,000 or 10,000 units. Don’t use a price for a low number of units as the price will be too high and you probably won’t meet the criteria that manufacturing costs can’t be any more than 20% of the final retail price. List any people you have who are advising you, a person already in the market, technical advisor, marketing helper. List whatever experts you can to strengthen your report. A brief description of how you will get the product made so you can sell it. You don’t want to ask for all the money, as then you will have to give up too much of the company. But usually you want to ask for $10,000 to $25,000 for five to ten percent of the current shares of the company. Be careful here to mention the shares of the company will be diluted (become smaller) as more and more shares are sold to raise money. For example today you may sell 10% of the shares and you own 90,000 and the investor 10,000. But if you sell another 10,000 shares, then there will 110,000 shares, with the each investor owning about 9% of the shares and you about 82%. I elect you to be my Rep for the math cubes, all I want is a royalty, or a licensing agreement, I was told thoses cubes could get a copyright. I would do the running if we could get them protected better. I have patent pending that runs out in September 2014. I’m not looking for a big payday up front, I would just love to see this go world wide, Laura Ingram was talking again today on her radio program about how kid need help in math. Someone is always talking about it, we have the solution, you have the connections. When I had a cost presentation, ball park was $ 50,000, I can check back. Also, ADHD kids need somthing like this, something they can own, to have it with them.